Allplan Bridge is a parametric 3D bridge modeling solution introduced in 2018. This powerful solution has been specifically developed for the parametric modeling of bridges. Bentley Systems has announced the acquisition of Synchro Software, specialist in 4D construction modelling software, for scheduling and project management. Synchro has been globally adopted, in particular for building and civil infrastructure projects. Technology originally developed for use in the heritage industry is expected to transfer to the bridge inspection sector in the next two years, enabling rust to be detected from 100m away, writes José Maria Sánchez de Muniáin. Designers of the floating bridge on Norway’s Bjørnafjord have had to address the challenges of modelling dynamic wind and wave response. Mitja Papinutti, Mathias Marley and Arne Bruer outline how these have been overcome. Washington State Department of Transportation (WSDOT) in the USA has launched a new tool to help lorry drivers check the clearance of bridges on their proposed route. Local artists in the Canadian city Edmonton are being asked to propose and design programming for the High Level Bridge’s array of 60,000 LED lights. NCC has been commissioned to build part of Norway’s second-longest suspension bridge. 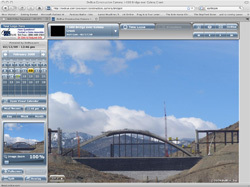 Design of a major new suspension bridge in Nigeria has been aided by the use of specialist software. Andrew Hodgkinson explains. Omaha-based survey technology company Terrametrix is using the StreetMapper mobile mapping system to survey 7,250 bridges in the US state of California. 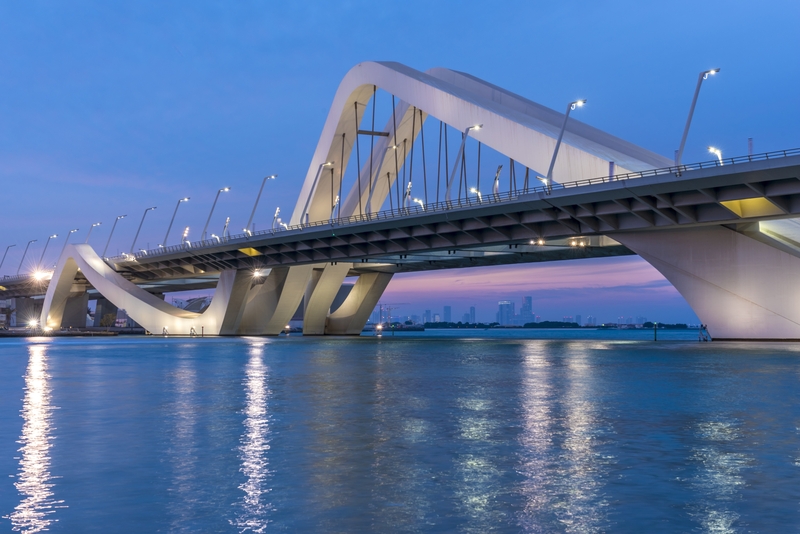 A research project into protecting critical bridges from threats has now been completed. Massachusetts Port Authority has announced that a new structural monitoring system will be fitted on the Tobin Bridge over the next 18 months, making it the US state's first 'smart bridge'. Acciona and its subsidiary Mostostal Warszawa have been appointed to build a major cable-stayed bridge over the River Odra in Wroclaw, Poland. River barge pilots were last week given the opportunity to take part in aircraft-style computer simulations of the navigation around two major new bridges currently being designed in Kentucky and Indiana. The observations and experiences of the 13 pilots are being supplied to the bridge design teams and shared with the Coast Guard to determine whether the proposals would benefit from any changes. Bentley Systems has announced the acquisition of Austrian company TDV, which provides structural modelling, analysis, and design software for bridge engineering.